PWS Electrical Services, electrician Glasgow, are fully registered, trained and approved installers of electric vehicle charging points. 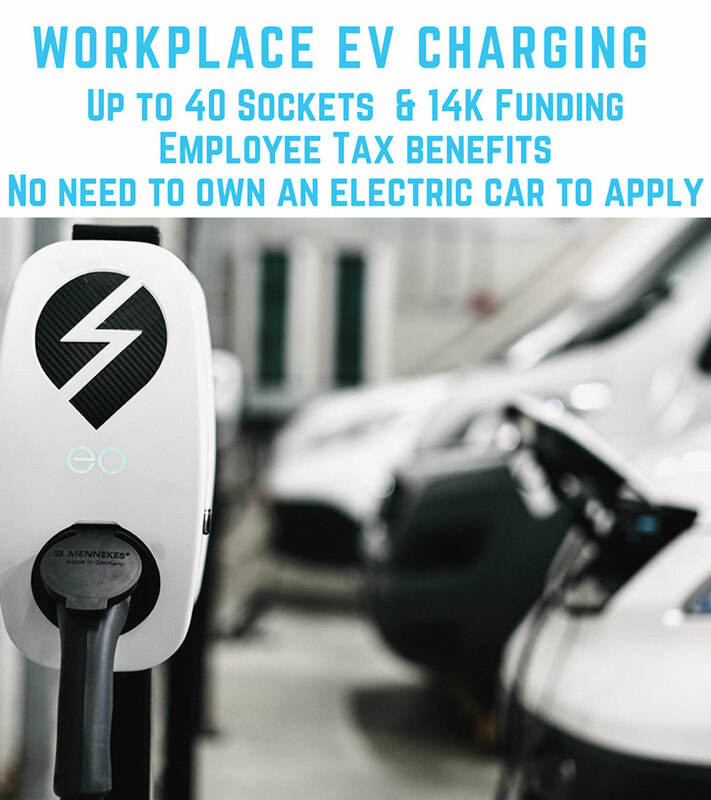 Not only can we supply and install a charging point for your electric or hybrid vehicle, we can secure you a £500 government grant via the OLEV (office for low emission vehicles) scheme we are approved by. 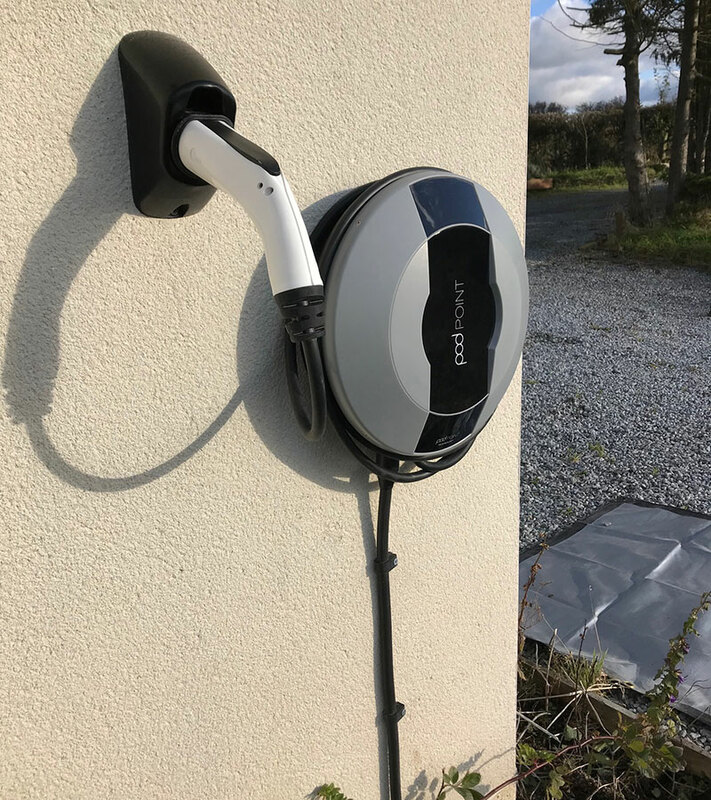 Further to that, we are one of only a small number of installers that are approved by the Scottish Energy Savings Trust to grant you up to a further £300 for your electric vehicle home charge point. This is an exceptional offer of up to £800 toward your new charging point. Grants are subject to terms & conditions and we provide a fantastic 3 year guarantee on all labour & materials. This is the future of motoring, electric vehicles are becoming mainstream, with all major brands producing electric versions of their most popular models. The Volkswagen Golf, Mini, BMW & Range Rover to name but a few, are producing vehicles that will match the performance and mileage of traditional petrol and diesel vehicles. The aim of the Scottish Governments Climate Plan is to phase out all diesel and petrol vehicles by 2032, 8 years ahead of the rest of the United Kingdoms target of 2040. For more information on how we can help you, check out the Government, Energy Savings Trust and our partner Rolec' Websites. We make the whole process simple, we visit your home and explain the OLEV and EST grant funding processes, and then survey your property and electrical installation to verify it is capable of supplying a 16A or 32A mode 3 charging point. We inform your supplier of the installation taking place, and advise them to upgrade your supply if required. Installations take no more than a day, and depending on your current earthing arrangement we may be required to install an earth electrode to comply with regulations, and ensure your safety. The £500 grant is not paid to ourselves from the customer, we claim that back from OLEV directly, any remaining balance above £500 is paid and then up to £300 can be claimed back by the customer from an Energy Saving Trust grant that must be approved before the installation of your new charging point.